You have 91 days to decide. Exchange or return your purchase up to three months after receiving them. Cut to fit, made from the best fabrics around, our trousers selection is nothing short of extraordinary. Look for non-iron, stretch, machine-washable wool, and the all-time classic styles. We've got the perfect trousers for you. 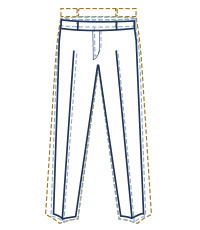 Classic fit trousers are cut generously with a little extra room in the legs. They have a slightly higher waist than Slim fit. 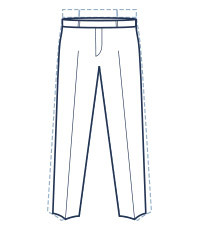 Slim fit trousers are more tapered in the legs and have a lower waist than the Classic fit. Extra Slim trousers are our trimmest fit. 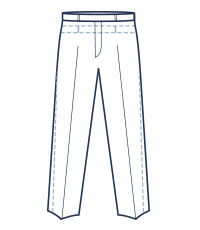 The trouser legs are slimmer than our Slim fit, while the waist height is the same.